In April of 01815, Mount Tambora – an active volcano in what is now Indonesia – erupted after a few hundred years of dormancy. For several days, it spewed hot lava and ash into the air, casting its environment in pitch black darkness. The largest observed eruption in recorded history, it was heard and felt as far as 1,600 miles away, and produced tsunami waves of up to 4 meters across the Indonesian archipelago. The explosion caused part of the volcano itself to cave in, and killed tens of thousands of people. A year later, England noted the coldest winter of its recorded history, and the Eastern United States reported an uncharacteristically short summer. In 01817, Germany suffered a famine, and India a cholera epidemic. Though never linked back to the Tambora eruption at the time, a new book by Gillen D’Arcy Wood shows how the explosion in Indonesia reverberated across the planet, producing colder weather and dark storm clouds – followed by crop failure – for several years following the event. 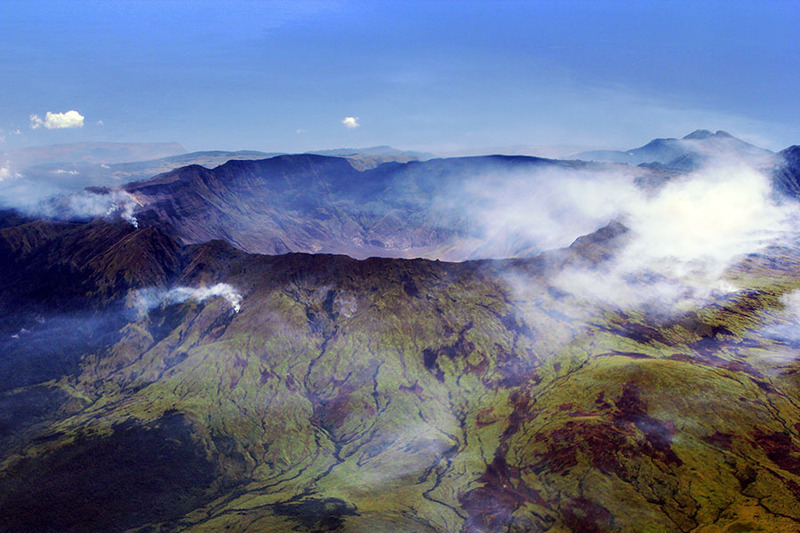 Tambora’s impact can be traced through European cultural history: it is memorialized in J.M.W. Turner’s fiery sunsets – caused by particles of ash that spread across the planetary atmosphere – and even in Mary Shelley’s Frankenstein, which was inspired by a gloomy summer that forced England’s gentry to keep itself entertained with indoor activities. … the revelation of global volcanic ruin – a portrait 200 years in the making – offers a kind of meditation on the difficulty of uncovering the subtle effects of climate change, whether its origins lie in nature’s fury or the invisible byproducts of human civilization. Moreover, Wood’s analysis reminds us that even the most subtle (and temporary) climatic changes can have a profound impact on global civilization.